As part of Debbie Smith Therapies service we offer E books covering some of the commonly reported problem areas of life and their troublesome symptoms. 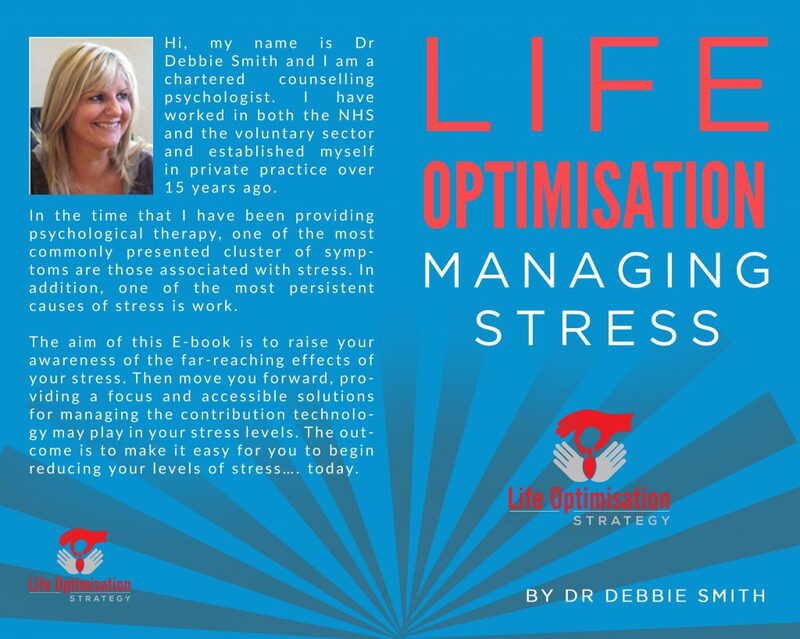 As part of the Life Optimisation Chapters, this month’s featured E book is ‘Managing Stress’. The emphasis of the book is the stress that is contributed to by the use of technology. Available via emailing us directly at a cost of £2.99.